Is Batman confused? Angry? Happy? No. Not the last one. The Dark Knight is never happy. But with this new Batman Expressions Pack, you can put a whole new face on your Batman action figure that comes included in this amazing set. 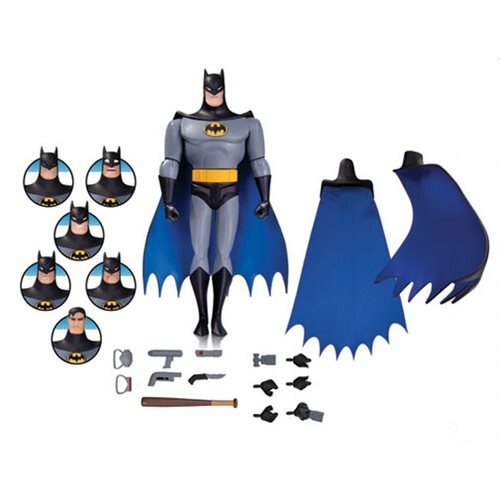 Based on Bruce Timm's famous designs from Batman: The Animated Series, this 6-inch tall Batman figure comes with interchangeable heads and capes that are fully compatible with any Batman action figure from the Animated Series line. Ages 14 and up.